The research in this project is concerned with the characteristics, design principles, and effectiveness of persuasive gaming. We study gaming practices that combine the dissemination of information with attempts to engage players in particular behaviors and attitudes. 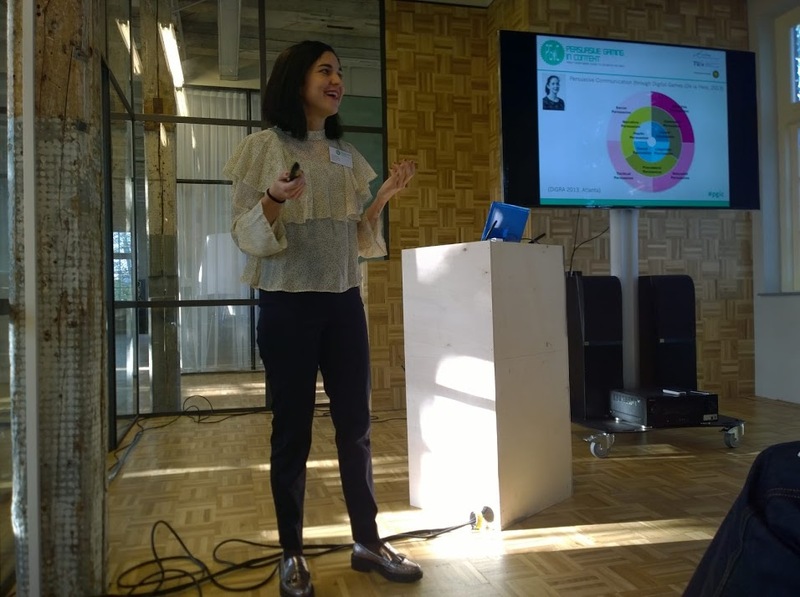 The project is a collaboration between three Dutch universities: the University of Utrecht (UU), the Eindhoven University of Technology (TUE) and the Erasmus University of Rotterdam (EUR). 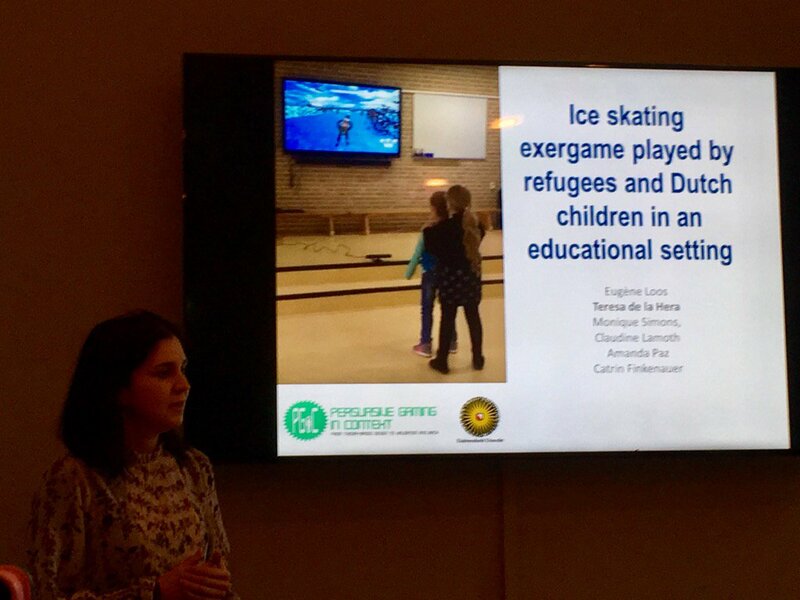 The aim of this study was to evaluate whether an ice-skating exergame can stimulate intercultural social interaction between refugees and Dutch children in controlled play sessions organized at elementary schools. 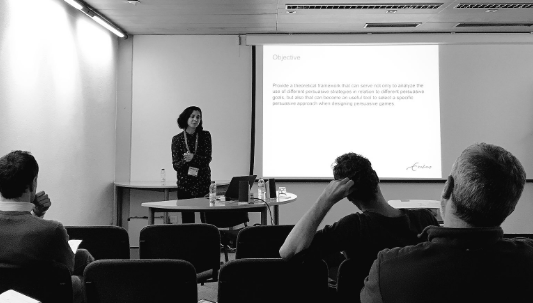 We conducted an exploratory qualitative study based on observations of exergame play sessions and structured interviews conducted after the play sessions. A total of 58 children (7-12 years old), divided into 29 couples, each of which consisted of a refugee and a Dutch child, played the game at two Dutch elementary schools. T. De La Hera, E. Loos, W. van Wilgenburg, M. Versteeg, A. Paz Alencar, M. Simons, C. Lamoth & C. Finkenauer (2018). Using an ice-skating exergame to foster inter- cultural interaction between refugees and Dutch children. Cogent Education, 5 (1), 1-20. With growing cultural diversity in European educational settings, acculturation processes at schools have become more complex as well as ‘problems’ associated to cultural essentialisms in everyday classroom practices. The use of digital games has found to be an effective tool to reinforce teaching/learning practices. 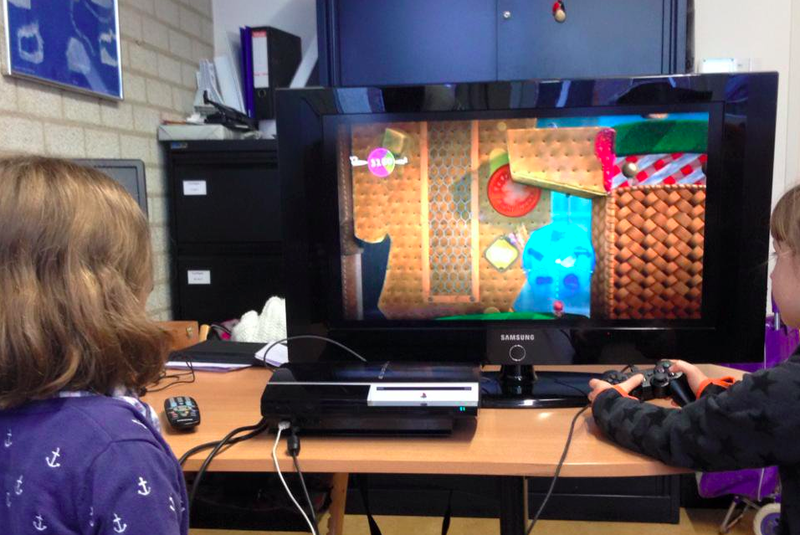 Several studies have already shown the benefits of the use of digital games in educational contexts. However, most of these studies are focused on how digital games can be used for knowledge acquisition. The present research proposes a new approach for the study of digital games in the field of education. Drawing from collaborative approaches, we explore the potential of digital entertaining collaborative games to foster intercultural interaction in culturally diverse classrooms. The main purpose of this project was to review the benefits and factors to be taken into consideration for the design of intergenerational digital games. We conducted a systematic literature review in Scopus, Web of Science, PsicInfo, Pubmed and Science Direct, finally including 16 empirical studies written in English. T. De La Hera, E. Loos & M. Simons (2017). Benefits and factors influencing the design of intergenerational digital games: A Systematic Literature Review. Societies, 7 (18). The evolution of the game industry and changes in the advertising landscape in recent years have led to a keen interest of marketers in using digital games for advertising purposes. Digital games specifically designed for a brand with the aim of conveying an advertising message, are known as advergames. The increasing interest in the use of digital games as a marketing strategy is undoubtedly related to the development of new technologies and the proliferation of broadband and mobile devices and the closely popularization of digital games. However, despite the increasing interest in this marketing strategy, marketers and marketing companies still need more knowledge about the potential of digital games as a medium to convey advertising messages. This PhD project was focused on better understanding how advertising messages can be embedded within digital games. In this thesis an interdisciplinary framework is used in order to outline a theoretical model aiming to structure the existing knowledge to help explain how persuasive communication works within digital games. Best academic work. Consell de l’Audiovisual de Catalunya. XXVI Edition of the CAC Awards for Research on Audiovisual Communication: Barcelona, Spain (2014, december 15).